Located in Shimbashi, three minutes from SL Square on foot, International Health Care Clinic is a globally oriented clinic with English speaking staff. Therefore, the doctor and nurses are able to explain your condition and treatments thoroughly. Furthermore, Dr. Mika Washio, director of the clinic, says that, “although we specialize in internal medicine, we can also introduce hospitals which are capable of diagnosing foreigners who suffer from other illnesses and injuries making use of our network. Through much experience working in international medical transport, i.e. supporting the transportation of foreign patients injured and contracting diseases in Japan to hospitals in their own native countries, I decided to run a clinic which is useful for both Japanese and foreigners.” In addition, the clinic offers various vaccinations and treatment for cervical cancer, STDs and so on. Don’t hesitate to visit or get in touch regarding a consultation. Look great this summer at Muse Dermatologists! Summer is the time where you want to be looking your best! Visit Muse Dermatology and Pain Clinic to give your face and body a boost. A four-minute walk from Musashi Urawa Station on the Musashino Line and JR Saikyo Line, the clinic has an impressive range of cosmetic treatments available, anti-aging infusion therapy, and medical dermatology. The medical expertise of the staff allows you to rest easy knowing you are in expert hands and only undergoing the safest and most effective cosmetic treatments. Muse Dermatologists is one of only three clinics in Japan to offer pioneering fat reduction and toning treatment Coolsculpting, and has garnered a reputation for global quality cosmetic processes within the international community in Tokyo. Muse is also one of the only medical establishments in Japan now offering services in Arabic. Beautiful Skin Max (anti-aging injection) treatment worth ¥16,000 free with your first Coolsculpting treatment. Tokyo Podiatry is here to treat your foot or leg conditions, from growths like bunions, corns or calluses, to conditions such as ingrown toenails, children’s flat foot, bow leg or in-toe walking. Pain relief is also provided for those suffering from foot, ankle, heel, hip, knee and leg pain, or rheumatoid arthritis. Due to the absence of podiatric degrees at Japanese universities, Tokyo Podiatry remains the only active podiatry clinic in all of Japan. 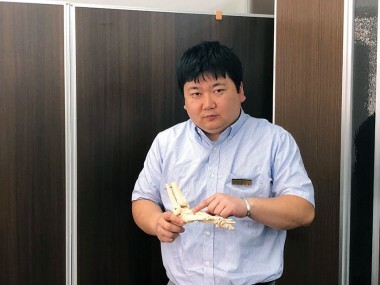 Dr. Koji Kawamata was formally trained at universities in the U.S.A. and New Zealand before acquiring three years of experience as a practicing podiatrist in Australia. 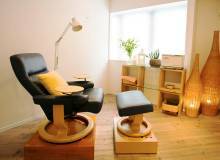 He has since moved his practice to Tokyo, where he welcomes foreign, English-speaking clientele. In addition to general podiatry, Dr. Kawamata has a speciality sports podiatry practice, rehabilitating patients after sports-related foot injuries. The clinic also provides orthotic prescriptions, including medical insoles, to its patients. Initial visits cost ¥7,980 with a ¥4,980 follow-up fee. Those looking general nail care examinations can book initial visits for ¥6,980 with a ¥3,980 follow-up. Contact Tokyo Podiatry for additional information. If you have noticed dark stains and strange odors in your home, there is a chance it could be mold. 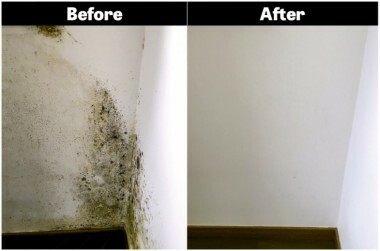 Mold can grow indoors on wet and damp surfaces, and can be found growing on wallpaper, ceilings, carpets, wooden surfaces, in between titles, and elsewhere. Mold can grow and spread quickly, and the resulting infestation can cause serious health issues such as allergies. With a 20-year track record of providing excellent service, ALLONE uses advanced equipment and cutting-edge techniques to inspect and remove mold, and not only from homes and offices. ALLONE is also experienced in removing mold from historical temples, shrines and other important cultural properties. If you suspect that your house or office has a mold problem, a fast response is crucial to mitigate damages and reduce repair costs. Take advantage of our special offer for a free inspection and learn more about the contamination level to your home or office. Send information about your mold infestation problem (with pictures) and receive a response within 24 hours.